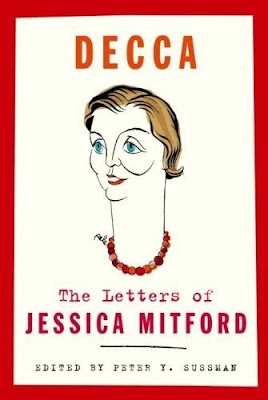 I just finished this most amazing and EPIC book titled Decca: The Letters of Jessica Mitford. It is astonishing the scope of this woman's life. 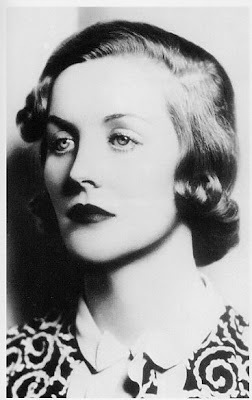 Actually, if you're familiar, the scope of the entire Mitford family is remarkable. 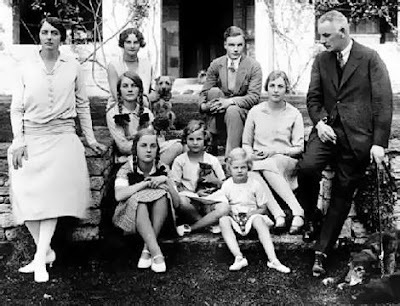 For those who haven't heard: the Mitford family, perhaps one of the most famous and infamous of last century, were the British aristocratic family of Baron Redesdale. He was the second Lord Redesdale. They had six daughters, Nancy, Pamela, Diana, Unity, Jessica (Decca), Deborah (Debo) and one son, Tom. These children were all extraordinary individuals, the product of very eccentric, aristocratic parents, which they called "Farve" and "Muv". 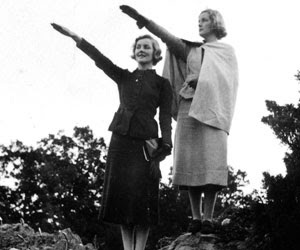 Perhaps what makes the Mitford story so EPIC is that they truly represented the entire specturum of political beliefs of the 20th century. Muv, Unity and Diana were all very pro fascist, pro Hitler, pro Nazi. On the other hand, Decca was devoutly Communist. The children all came of age between the two world wars which perhaps explains their devotion to political ideologies. The first world war had left most of England with an imprint of the horrors of war and many of the upper class were pro-Fascist, primarily because of this fear of war and also their fear of the rise of communism. Fascism, before Hitler, was a political ideology that was fashionable. 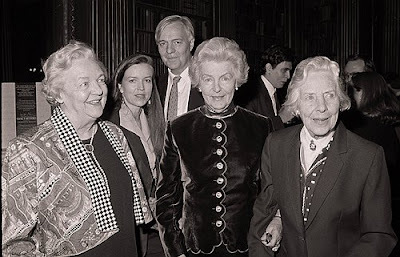 If you look at the Mitford sisters, the family for that matter, you see a family that was ground zero, sort of one degree of separation to the most powerful individuals and events in the 20th century. This scope is unbelievable and Decca illustrates just one vast aspect that I was fairly unfamiliar with (still am although now I'd like to read a little more): Communism in the US. I'll finish my little overview of the Mitfords and then talk about the book. Unity, was extremely pro-Hitler. She moved to Germany and was photographed in the world press often saluting Hitler or making anti-semetic or pro-Nazi remarks. 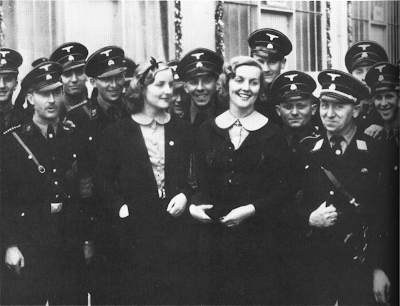 It has been alluded that she was in love with Hitler and he certainly was attracted to Unity, who represented the ultimate Aryan idealyic female. On the day that WWII began, Unity shot herself in the head in a park in Germany, however, the wound was not fatal. Hitler eventually had her transported out of Germany back to her family. She was seriously impaired as a result of the gunshot and died several years later from complications. 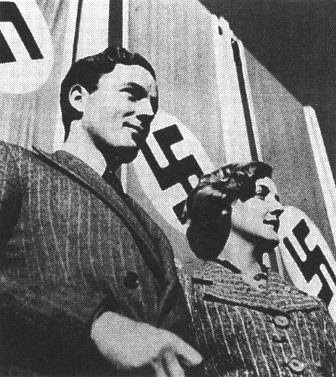 Diana (at right) and her husband, Sir Oswald Mosley, were imprisoned most of the time during WWII because of their political affiliations with fascists and Hitler. Decca, on the other hand scandalized society when she eloped, at the age of 19, with the equally young aristocratic, Esmond Romilly (see photo below), who was the nephew of Winston Churchill. Both went to Spain to help fight the civil war and were both passionate about Communism. They eventually moved to the US. At the outbreak of WWII Romilly joined the British military and was statione d in the UK and Decca stayed in the US with their child, Constancia. Esmond was shot down shortly thereafter leaving a very young widow and baby in a distant land. Two other sisters were also to become equally as notable as Unity, Diana and Decca just not as scandalous. 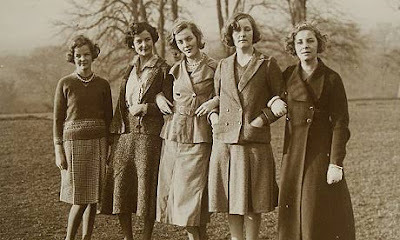 Nancy (at right), the oldest, went on to become a very respected and prolific writer. 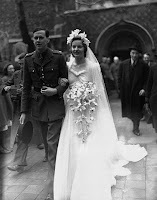 The youngest daughter, Debo, married Andrew Cavendish, (their wedding photo below) and upon the death of his brother and wife, Kathleen Kennedy (JFK's sister), succeeded as the Duke and Duchess of Devonshire, inheriting perhaps one of the most beautiful private homes in the world, Chatsworth. Nancy and Debo were for the most part a-political. Or rather, they didn't represent the polarizing political opposites of their sisters and parents. Tom died in the war. Pamela lived a long life but was perhaps the least famous of the siblings, although eccentric in her own unique way. Following a lengthy marriage to scientist Derek Jackson, she was rumored to prefer relationships with women for the rest of her life. Interestingly, all of the sisters except for Pamela, became published and respected writers at varying stages of their later lives, although Nancy and Decca were perhaps the most noted. 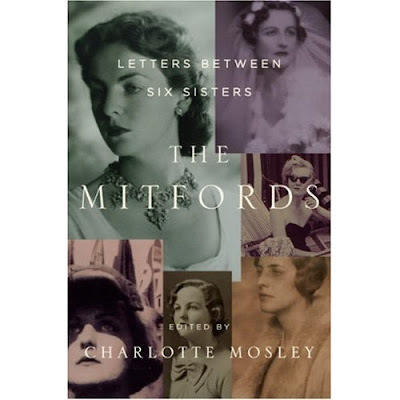 I have read several books on the family, including my favorite book from 2008 with The Letters of the Mitford Sisters. I think having that background made reading Decca much easier. This is a large book and very complex. You might expect that description to mean "boring". Not at all. I was riveted to this book the entire time that it took to read. I usually am a very quick reader but this book took me a couple of weeks to complete. I truly would become immersed in it. All of these sisters are remarkable, strong and unique woman, however, I have to say the Decca was truly the most compelling. To think that she left her family and eloped with her young husband, with the British navy following them and threatening her return. She refused to comply with her families request that she return home (made with cooperation of the British government). She and her new husband were in Spain reporting the civil war. She then moved to the US with her husband and found herself a very young widow in a foreign country. You would have expected that she immediately would have returned to the safety of the family fold. She so despised her families political affiliations that she loathed the idea of returning home. And she made the very brave decision to forge a new life for herself and her young daughter in the US. She was passionate about one thing though: Communism and the abuse of the downtrodden in the world. This was a universal theme that ran through her long life. All of the girls tended to be attracted to very strong men, or as Muv once said, "Why do all my children fall in love with dictators" (thanks for the quote, Eddie Pattillo). Each of these women were remarkably strong individuals in their own right but it seems the overwhelming tyranny of Lord Redesdale perhaps instilled in each of them a passionate rebellious streak and an affinity for men who were similar to their father. Decca, like all of her sisters, received no formal education (they were all very well read however). She immediately determined as a new widow that she would need to acquire a skill. And so she went to typing school. She found work eventually with US government in DC. Eventually she relocated with her daughter, Constancia, to San Francisco, and was followed there by her suitor, the man who would become her second husband, Robert Treuhaft. He was a union attorney and, like Decca, was passionate about communism. They both joined the Communist Party and were subject to the McCarthy red scare hearings in the 50s. Jessica and Robert also had a son, Benjamin. Nearing age 40, Decca started a period of introspection which was also marked with a return visit to her home of England after almost a twenty year absence. At the same time, Robert and Jessica both started to become disillusioned with the Communist Party, although not with communism itself. They quit the party, which for most of Decca's adult life had provided her with a full-time purpose. She wrote a memoir which became quite famous. It was titled, Hons and Rebels (originally printed in US as Daughters and Rebels). This began the career which she became most notable for: as a journalist and writer. Even though she turned to writing she remained a staunch advocate and defender of human rights, primarily black rights. She was heavily involved throughout the segregation battles in the South. Her husband, Bob, fought on behalf of many black people and communists who were jailed unfairly due to racism or the red scare. His role as a union lawyer caused him to be dubbed by McCarthy-ites as one of the most dangerous attorneys in the San Francisco bay area. One of Treuhafts pet peeves was the funeral industry. This interest led Jessica to write her most famous book, The American Way of Death, which exposed the racket of the US funeral industry. It remains perhaps one of the most influential books of last century in terms of its powerful ability to transform an industry. She wrote several other books, taught at several universities, wrote magazine and news articles and continued to fight for race issues throughout her life. She died in 1996. This book, Decca, illustrates just how remarkable an individual Jessica Mitford was. Her most marked characteristics were her sense of humor, her fearlessness and her passionate belief in her principles. She became known as a muckraker and is perhaps the most famous and successful muckraker of all times. She has yet to have been eclipsed by anyone in this role. I just cannot recommend this book enough. You will not believe the huge network of friends, colleagues and enemies (or as she called them "frenemies") that she developed. She was at times a very hard character and I suspect could be was quite a terrifying force if she were against you. She didn't seem to suffer fools gladly, one might say. But she was always remained true to her families and friends, despite rather spectacular disagreements and feuds. Particularly between the sisters. Diana and Decca remained diametrically opposed politically and were estranged throughout the rest of their lives. Debo emerges as the familial leader (photo circa 1993, Jessica, Debo and Pamela, the only living sisters). I read a couple of months ago, Pen Portraits, by Diana Mosley, which is a series of essays or profiles of several of the eccentric English characters she knew during her lifetime. It was a wonderful read as well. 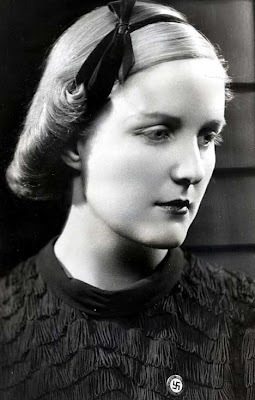 I strongly suggest that you read The Mitfords: Letters between Six Sisters as well as an excellent biography, The Sisters: The Saga of the Mitford Family by Mary S. Lovell. You can order copies of Sisters at our online website: www.jmvintage.com. Just click here. 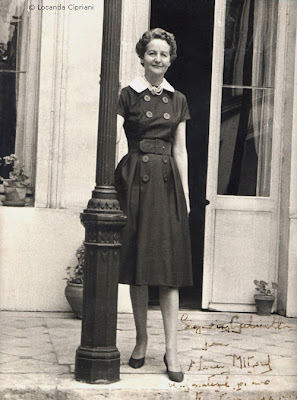 Next up in my Mitford reading will be Nancy's book of letters, followed by the collection of letters between Nancy and her good friend, Evelyn Waugh. 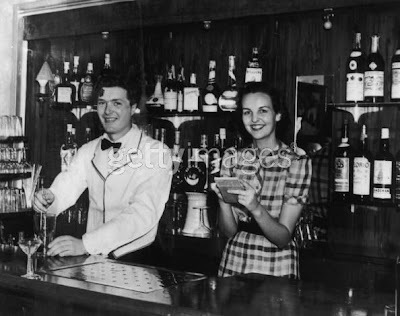 The Mitfords are another one of my little obsessions, like courtesans. I think anyone will see why. How on earth do you have time to post all these amazing stories?